Life was not always easy for me. I had been going home to home when my parents passed leaving me with relative after relative. I didn't mind that to much as it meant I met quite a few people. The only thing I found strange about my family was their obsessions with bats and crossbows. Heck they even had a sword or two in their places. Anytime I asked about this, they would say they will explain when I get older. It was whatever to me until I hit 13... and was sent to live with my aunt that I didn't even know existed. My aunt was somewhat strange in my opinion. She lived in a dark colored building that was almost all black. Heck even the windows were all tinted making little to no sunlight come out of it. I was used to seeing weird things but this was overboard. 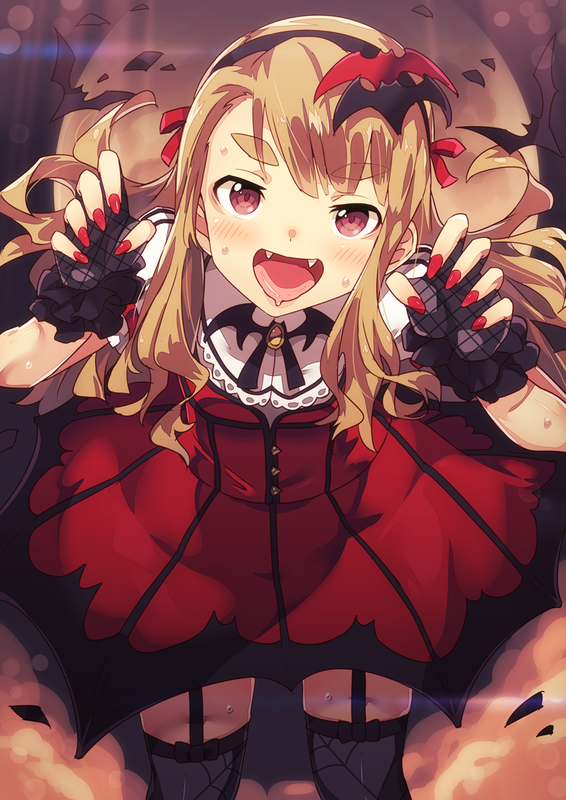 Another thing that I noticed about her when she introduced herself was her strange red eyes. She had somewhat pale skin and seemed to like to wear black. Heck I was taller then her and she looked almost like she was a teenager in age. She quickly made up some reason why she looked the way she did but I said nothing at all. After all, I was probably just going to be kicked out of this place and sent to a new home any day now. That was not the case however. I was surprised when my aunt asked me if she could adopt me as her son. I never expected that but, maybe because I was tired of leaving places, I agreed. So after some paperwork and all that stuff, I was officially my aunts son who I now called mom. It was strange living with her as she did not like to go out into the sun and even signed me up for night classes instead of going to school during the day. I would of questioned this but decided not to. Heck, if I could ignore the red drink that I was not to EVER drink myself in the fridge and also ignore her when she goes to get more of it. I never expected to learn what I did. Heck, I never expected to bump into someone that had "picked" me. Maybe it was my new mother who had 'trained' me to be this. Heck maybe it was just random chance that I was picked and made into one of them. Made into something that I never believed was real. Made into a creature of the night... made into a vampire. Plot-My guys new mother turns out to be a vampire. Your girl, one of his fellow students, knows this and for some reason she decides to make my guy into a vampire. We can both work on other plots but to start we will have my guy and your girl after school and go from there. Track. I really like this plot. I am going to work on typing up a post but I have to get around for school first thing. Fair. I understand the school thing (in college myself x.x). So take your time. Yeah I am in college also. I don't normally take to much time to type up a response but its when working around the college schedule that is difficult. I have lived a normal life...well a normal one for a vampire. Being born into a vampire family was a blessing. Being one that can wonder through the night and cause a bit of panic was always fun. It wasn't until I turned fifteen that my parents told me I must mark someone. It was a tradition for vampires to mark one at a young age to keep the population alive and well. There is no age limit to which we must mark, but it is looked down on for choice over the age of 30. Anyways, I had just started to get ready for school when my little sister came running into my room. "Mie Mie...look what I caught!" screamed my little sister. "What did you catch, Kira?" I asked already knowing it was an animal we had roaming our grounds. "I caught a bunny!!" Kira cheered before running back out of my room. I giggled at the childish girl before slipping on my hair pins and walking downstairs. "Mother!! Father!! I am heading off to school" I yelled out before slipping on my shoes and escaping the holds of my mansion of a house. In this neighborhood, I live in the creepy house at the end of a long driveway. If you hear rumors about murders or even kidnappings, it was always based around my house. Because of this and my vampire lifestyle is why I attend school I night. My skin isn't as pale as my families and also the lightness of eyes are even different than my parents. I didn't think much of it but the vampire community always thought I was different in a way. This however didn't change the way I treated others or even how hard I tried at school. I am an honor student and also the president of class 3 of the night classes. Yawning some, Shiro walked into the classroom barely awake. He had spent most of the morning doing chores around the house while his aunt seemed to do some work online. He didn't say much about it as he was living with her after all. Seeing others get buddy buddy, he ignored them for now as he attempted to walk pass Mie before he was tripped and landed face first right next to her. Groaning, he glared some at the guy who tripped him, a very pale faced kid, as he soon got up and brushed off his pants trying to ignore what just transpired. "Sorry about that class prez." Is all he said as he went and sat near a window. He was still getting used to these night classes as they were somewhat long. Even after a year in these classes he was still struggling some with everything. If it wasn't for his looks and his training in martial arts, he would of been beat up and picked on a lot more then he was now. For now though he ignored the banter around him and just looked out the window at the night sky enjoying the stars and the colors around him. It may be dark in this place but the sounds and looks of it made it all the worth while. As well, it was worth it to be able to see this place all the time not instead of a month at a time like he did before. Who knows, maybe this evening was going to be special. The post was edited 1 time, last by Lunawolf1 ( Apr 15th 2019 ). "No worries...."Mie muttered partially annoyed. Mie offered a smile towards Shiro flashing a bit of her fangs. Not to worried, Mie turned and sat in her seat as the teacher walked in yawning like crazy. Mie, being the good student she is, sat in the front and answered the majority of questions that the teacher asked. Before getting to deep into her thoughts, the blonde haired vampire suddenly had this overflowing feeling of hunger but not for just any blood, but a certain student's blood. Mie glanced back at Shiro before rushing out of the room hoping the hunger will leave. Taking notes, Shiro noticed the yawning teacher over and over. This was not unfamiliar as the teacher also taught day classes. How did he survive with so little sleep? Shrugging, he soon saw Mie walk out as the teacher picked a random student to go check on her. Shiro just happened to be the teachers choice as Shiro shrugged and got up walking out of the classroom. 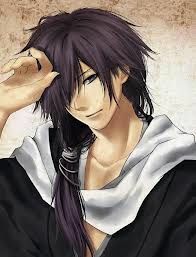 Looking around, he saw where Mie was going and started to follow her. He was glad there was no other students around as they were either in class or not there. Whatever was going on Shiro would figure it out and get the class president back to class. After all, her skipping would look bad for the school.